Carrie Fisher at the California premiere of "Sorority Row." 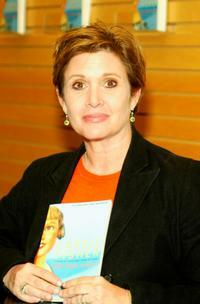 Carrie Fisher signs copies of her book The Best Awful. Carrie Fisher and Val Kilmer at the after-party for premiere of "Stateside". 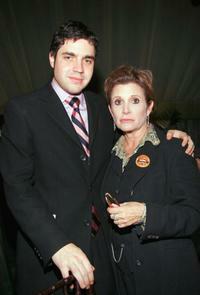 Carrie Fisher and Playwright Noah Haidle at the after party for the Broadway opening of "Mr. Marmalade". 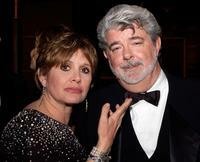 Carrie Fisher and George Lucas at the 33rd AFI Life Achievement Award after party. 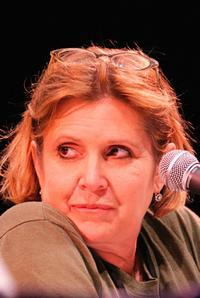 Carrie Fisher at the Times Festival of Books. Carrie Fisher at the premiere of the "De-Lovely". 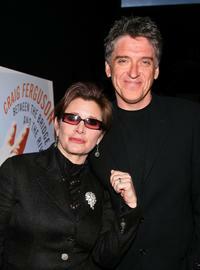 Carrie Fisher and Craig Ferguson at the launch party of Between The Bridge and the River. Carrie Fisher and George Lucas at the dinner during the 33rd AFI Life Achievement Award. 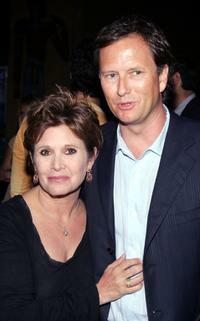 Carrie Fisher and Michael Burns at the Premiere of "Undiscovered". 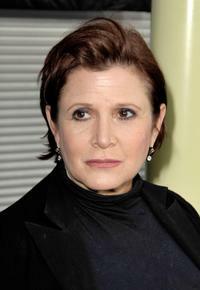 Carrie Fisher at the Comedy Central Roast of William Shatner. Carrie Fisher and host Craig Ferguson during segment of The Late Late Show With Craig Ferguson. Carrie Fisher, Pell James and Ashlee Simpson at the Los Angeles Premiere of "Undiscovered". 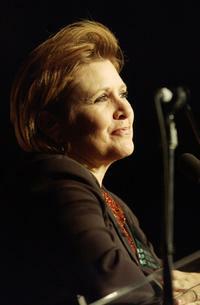 Carrie Fisher accepts the Screen Actors Guild Harlod Russell Award at 20th Annual Media Access Awards. Carrie Fisher at the 33rd AFI Life Achievement Award tribute to George Lucas. 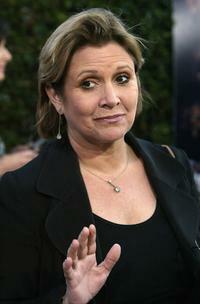 Carrie Fisher at Barnes & Noble to promote her new book Best Awful There Is. 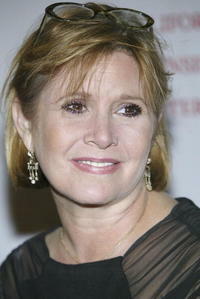 Carrie Fisher at the 38th Annual City of Lights Gala. Carrie Fisher and Pell James at the Premiere of "Undiscovered".